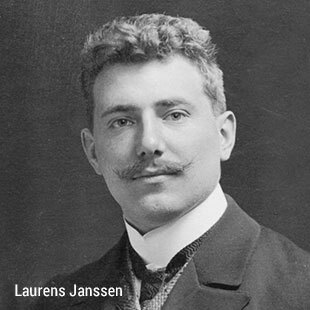 Laurens Janssen, founder of the OTG and the great-grandfather of current LSH proprietors Jochen, Michael and Laureen Spethmann, was already organising ways to feed the poor back in the 1920s. 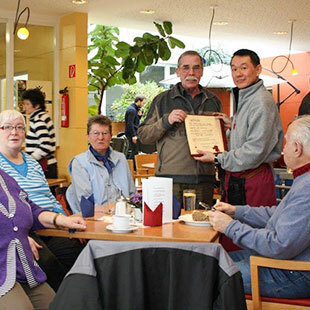 To honour his commitment, a project in the Kirchdorf-Süd area of Hamburg was named after him and is still supported by the LSH and the Spethmann family today. The Laurens-Janssen-Haus offers a communication point for all of the people of this neighbourhood, which is characterised by many high-rise buildings. When people meet and eat together, conversations arise – something Laurens Janssen might have said. As a result, the heart of the “Community Center Inklusiv” is a restaurant offering a wide variety of inexpensive meals and a place for cultural events, celebrations and festivals.